It's not just a puzzle, it's 48 puzzles. 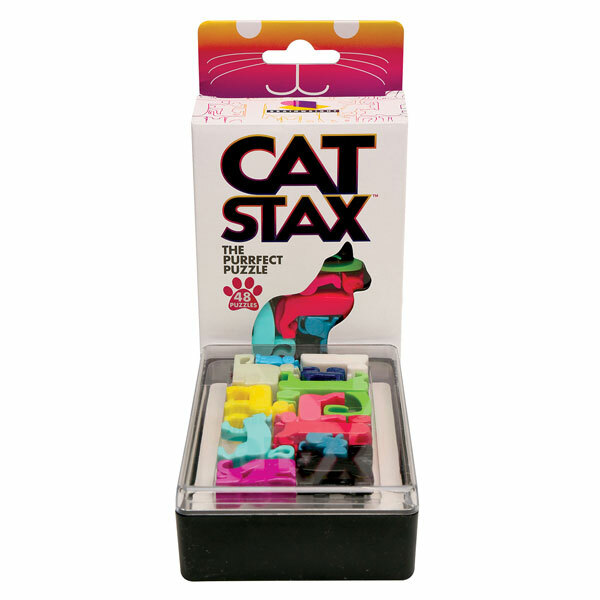 Choose a challenge card (Beginner or Advanced), then arrange all 12 cats on the card to fit perfectly within the grid. 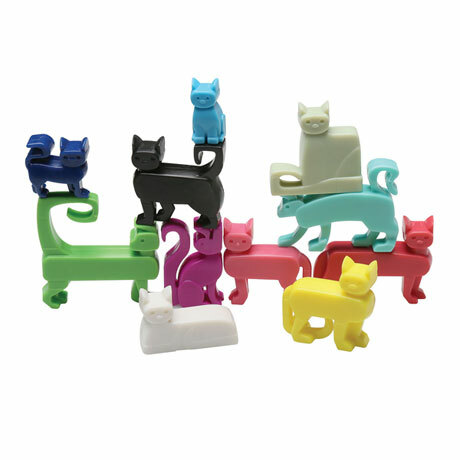 The colorful plastic cats are different shapes and sizes, so you'll have to figure out how they nestle together to solve each challenge. Comes with a travel case. For 1 or more players ages 10 and up.